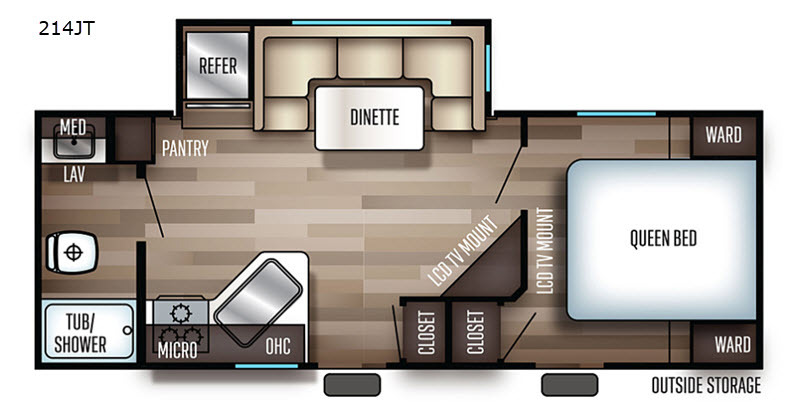 Enjoy camping the right way, in luxury and with the comforts of home, in this Forest River Cherokee travel trailer! In the front private bedroom, there is a queen bed for you to enjoy a good night's rest on and wardrobes on either side of it, plus a mount ready for you to add a TV to it. 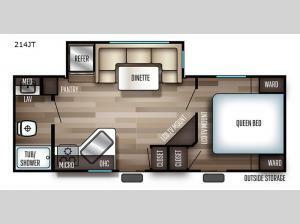 With the two entry doors, you will experience a smooth flow of traffic in and out of this unit. After you have easily whipped up your best meal in the kitchen, you can enjoy it at the U-shaped dinette, as well as play games and transform it into an extra sleeping space at night. You are sure to love the extra privacy with the rear bath, and it even has a medicine cabinet for you to keep things neat and tidy.